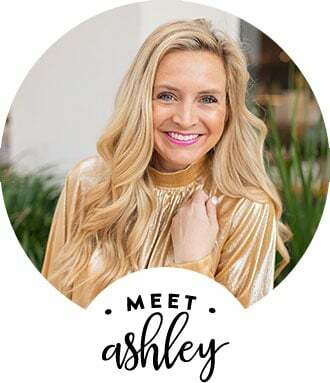 I’m super excited about this FANCY DIY that I am going to share with you today! I always do a couple small Christmas trees in addition to our large tree and I decided that I needed to have a FANCY Pom-Pom themed Christmas tree this year for sure! 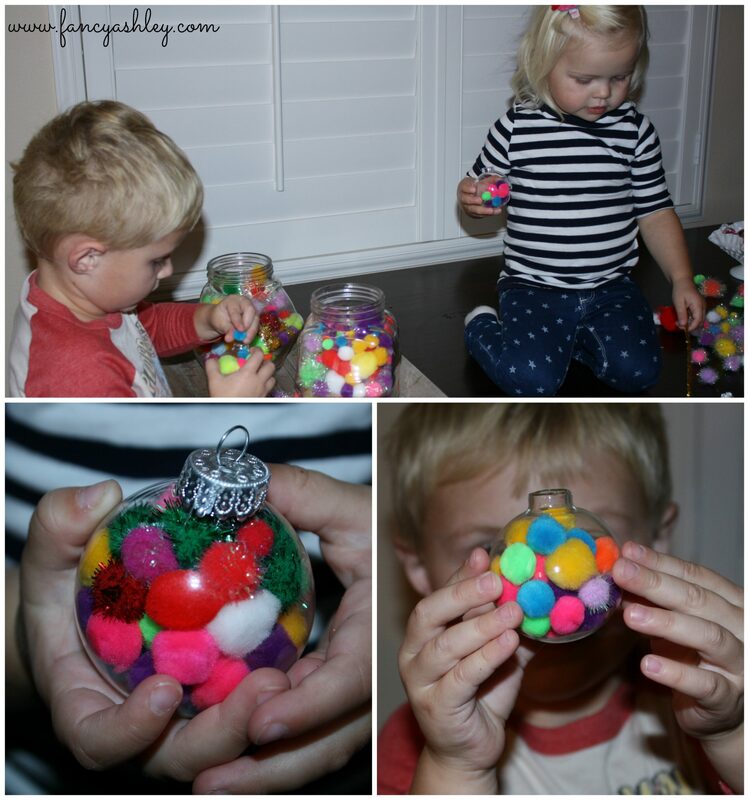 As I thought about what to decorate my tree with, this DIY popped into my head and I was so excited to get started on making these adorable ornaments! We are going to start with this ornament. This is the kid-friendly portion of the DIY…no hot glue involved, so it’s perfect for tiny helping hands! See! They loved this project!!! They were both so serious about their ornaments and were so proud of the finished products! They turned out so cute! Now onto the portion of this DIY that is not kid-friendly…only because it involves hot glue. I burn myself all the time, so I am positive that my kiddos would have a burn or two if I let them help with the portion and it’s just not worth it! Ouch! This version is super fun and fabulous too! 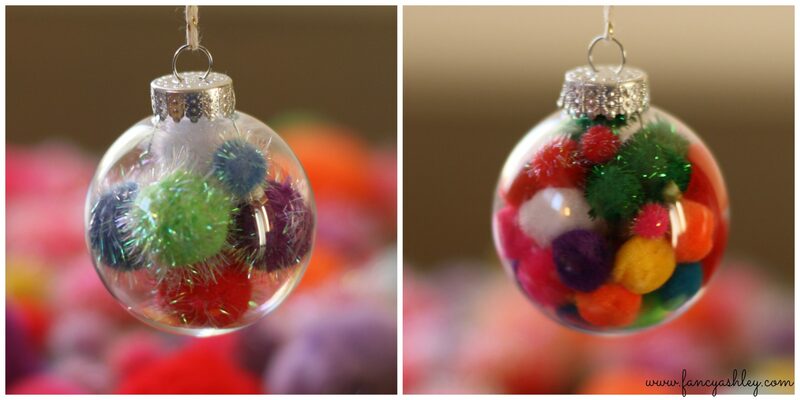 You just take glue and dab it on the ornament and then you fill the outside of the ornament up with Pom-Poms of all sizes! 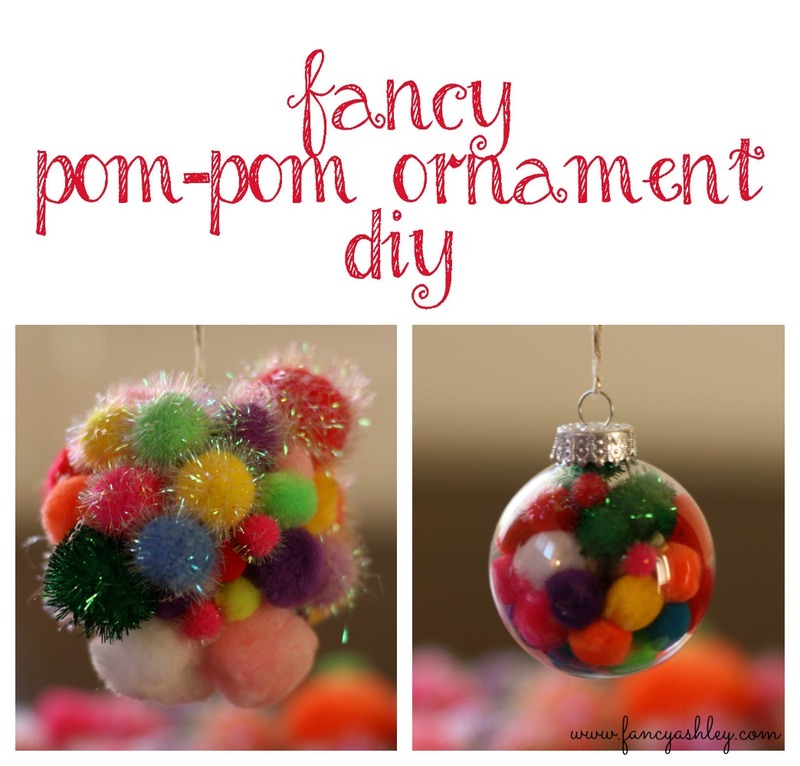 There’s no specific way that this needs to be done…just have fun and place the Pom-Poms wherever! The more random, the better! 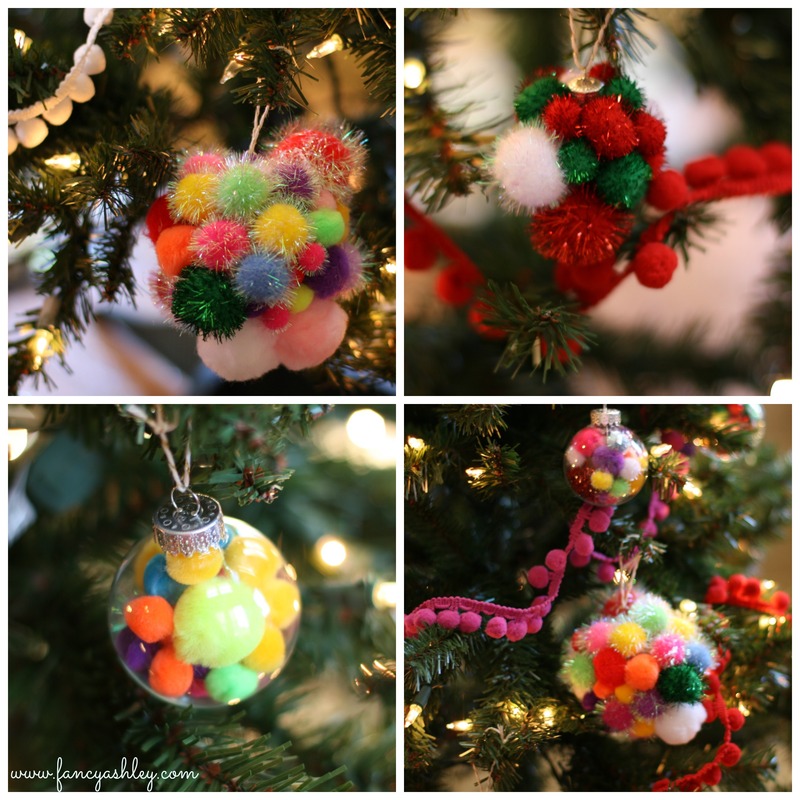 I love the huge Pom-Poms mixed with the teeny ones…it’s so fun! 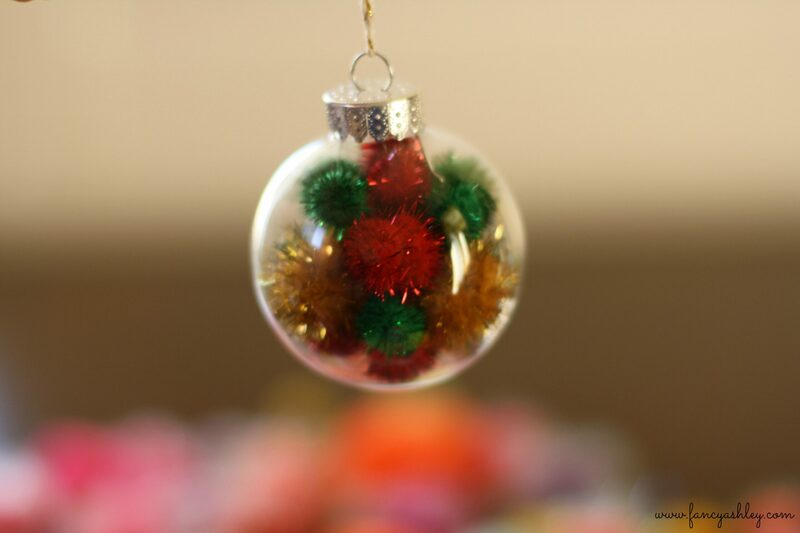 You just keep adding Pom-Poms until your ornament is large and in charge and totally Pom-Pom-ified! I think I might need to trademark that word! 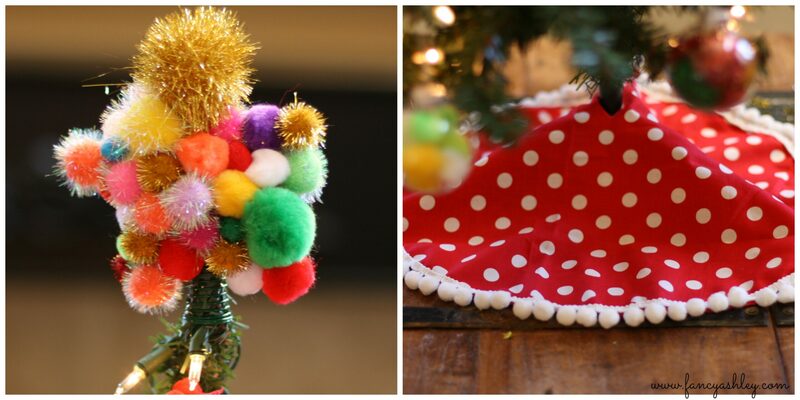 I made a Pom-Pom tree skirt and a Pom-Pom star topper to add to my tree, too! My Fancy Pom-Pom themed Christmas tree! I couldn’t love it more if I tried! It is everything I envisioned and more!! LOVE LOVE LOVE it! 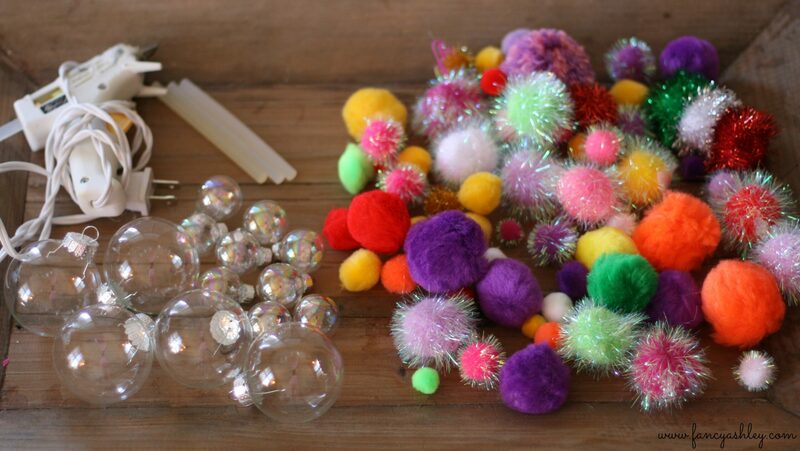 One piece of advice…buy way more Pom-Poms than you think you’ll need! 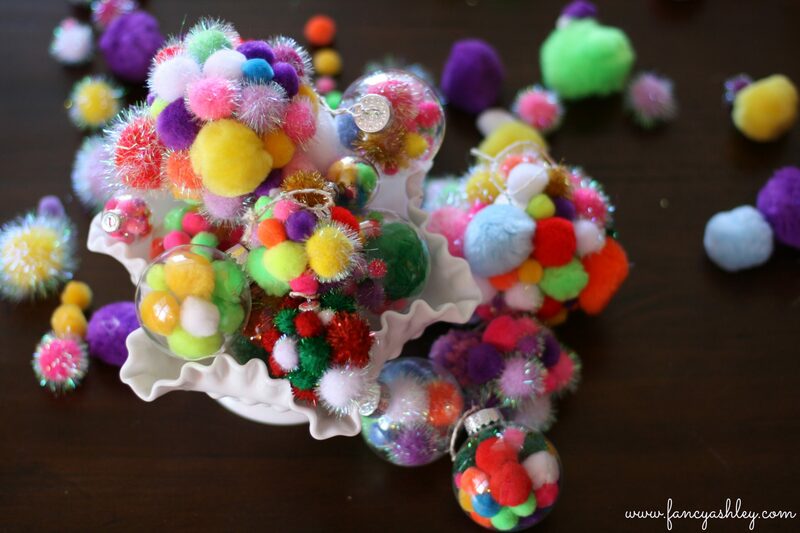 I have a LARGE collection of Pom-Poms that I keep in the craft suite for all my random projects and we used a ton of them! You definitely need more than you think you do! 🙂 It’s such a fun DIY though, you’ll have a blast and the kiddos will love it too!! 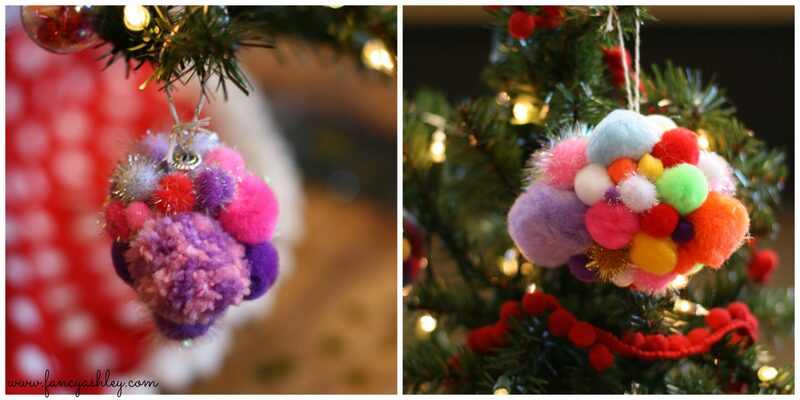 So, are you ready to Pom-Pom-ify your Christmas tree?! Eeekk!! This are so fun!! 🙂 I’m hosting a Christmas Crafting party–these may have to be our crafts! 🙂 LOVE! **And by “This” I meant “These” 🙂 Too early! Haha! I didn’t even read it as “This” I read it as “These!” Too early for sure! 🙂 xoxo! 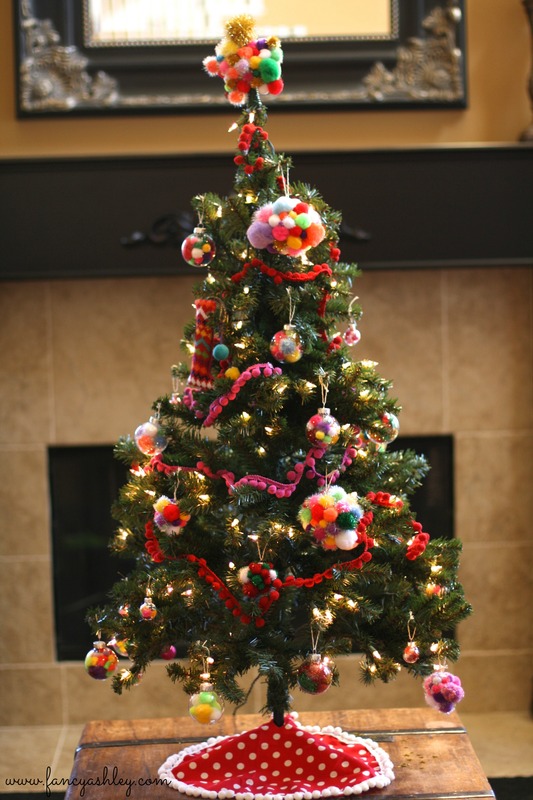 Could you do a tutorial on how you did the pom-pom tree skirt? Hey Heather! Sure! I’ll work on it! So fun! We are having a birthday party for Jesus, and this will be the perfect craft for all of the kiddos! Yay Keisha! It would be so much fun for the kiddos!!! xoxo! 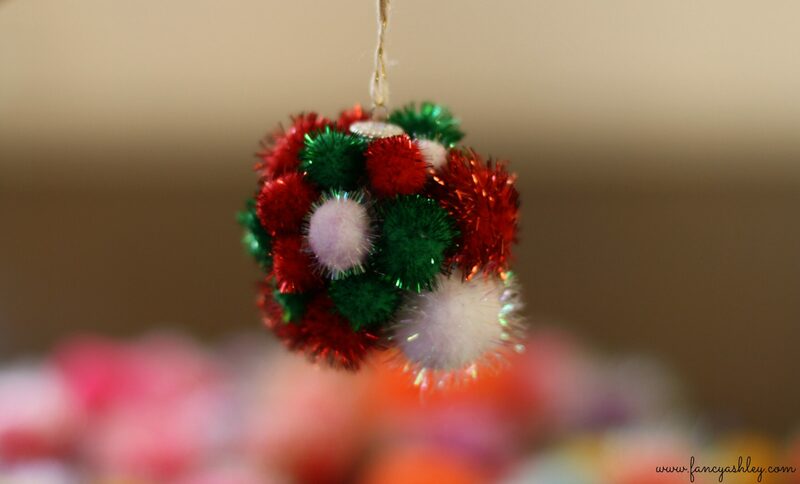 I’m working on pom-pom Christmas trees and I bought all the poms (in the colors I wanted) from 4 different Michales. It really does take sooo many!! These are DARLING!!! My girls would love making these! So cute & so easy! Hey Mel!!!! So fun to “meet” you as well!!! So excited about the BF Giveaway!!! Headed over to check our your blog!!! xoxo!! !